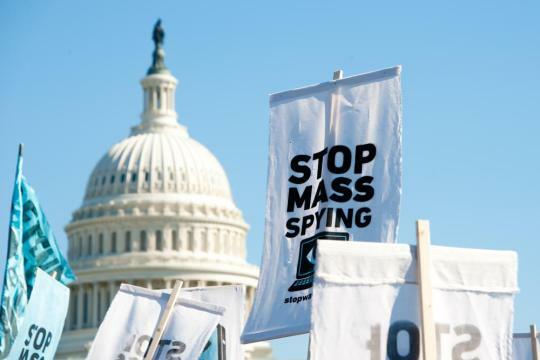 Fight for the Future welcomes the introduction of the “Ending Mass Collection of Americans’ Phone Records Act” as a major first step in restoring civil liberties eroded by the U.S. government’s mass surveillance machine. Yesterday, Senators Rand Paul (R-KY) and Ron Wyden (D-OR) and Representatives Justin Amash (R-MI 03) and Zoe Lofgren (D-CA 19) introduced the “Ending Mass Collection of Americans’ Phone Records Act.” This bipartisan bill (read the full text here) would permanently shut down the ineffective, and nearly two decades old, National Security Agency (NSA) program surveilling all of our telephone records. “This bill will once-and-for-all end the NSA’s ineffective and harmful mass surveillance of all of our phone records. It’s a welcome and necessary first-step in a longer fight to dismantle the U.S. government’s sprawling surveillance state. This bill was introduced on the same day the public learned about a seperate phone records surveillance program based out of the Drug and Enforcement Agency (DEA)—which resulted in the collection of billions of phone records by the DEA without proper legal review. These government programs rely on powerful telecommunications companies that store our record and data in bulk by default. The consequences of such surveillance in a data-driven economy are frightening. We hope this bill is the first-step in many others taken by this Congress to end the USA PATRIOT Act and restore key civil liberties required for a healthy democratic society.